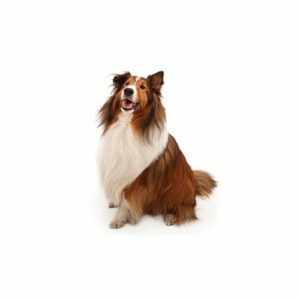 Like the Collie, the Sheltie’s history traces back to the Border Collie of Scotland, which, after being transported to the Shetland Islands and crossed with small, intelligent, longhaired breeds, was eventually reduced to miniature proportions. Over time, subsequent crosses were made with Collies. The breed worked as farm helpers and home protectors, watching over crofters cottages, flocks and herds from invaders of all kinds. The Sheltie does great with children and other dogs. They are also easy to train!